Aegisdramon is pretty cool so we could have more lines with them. It works pretty well. 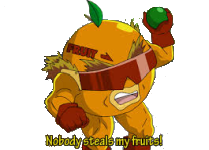 I tried using one, but I couldn't figure out how to make the transparency to work in Paint. 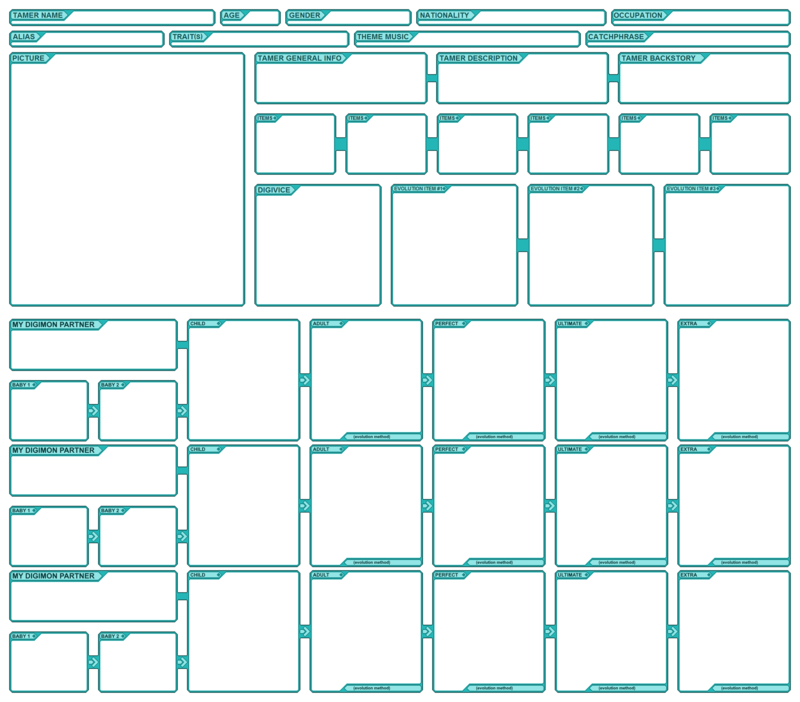 I tend to open the files in Gimp, copy the image from there, and then create a new file from clipboard, only using Paint for text which I copy from it and paste into Gimp as a new layer along with each Digimon image. Kenji Watanabe just posted this to his twitter. They're illustrations he's giving out for a BJD event, I think. They're not real Digimon. But it kills me that they're not because that's clearly a Beelzebumon variant that would look amazing as an evolution from Fangmon or Dorulumon! 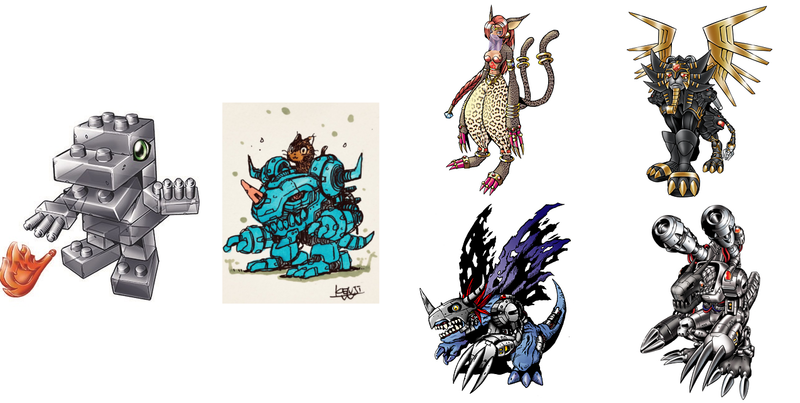 And that dinosaur mech is clearly a Greymon with stylization like Ludomon and Zubamons fusion and would look amazing as a lower form for Mugendramon. The cat thing looks like itd fit in too. I hope one day he gets to make a load of new Digimon all at once like the Appmon. Ok so this might be weird and irrelevent since these aren't Digimon but I made these with Kenji's OCs. I mean he incoorperated some of his OCs designs waaaay back in 2010 to Hackmon so who knows maybe they'll become real. Do you think it'd be weird to tweet these at him? lol. It's just I love how much these fit with Digimon and diverging evolutions and converging evolutions...yeah it'd probably be weird. I wish I could draw fanart or actually speak Japanese cause I'd just love to see his art more. 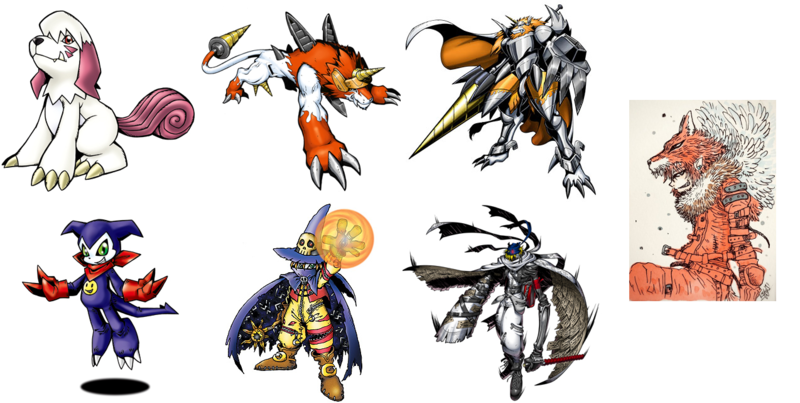 It doesn't take a lot to get me excited about New Digimon/monsters lol. I'd really like these to become official Mons too. Especially the two cat ones. Couldn't hurt to Tweet them. Nyankin is the cutest. Hope it turns into a digimon. My girlfriend got accepted to university and she's gonna study marine and ocean sciences, so I made three lines for her. Three Deep Savers themed lines with cute white mammals, a jogress and choices that may seem odd but really fit her and the stuff she likes - oceanography, marine biology, seasteading (Aegisdramon, I'm looking at you) and cute pets with light colored fur. I love the middle one since it's the least obvious line, look at how they share more or less the same colors. The bottom line is cool too because it kinda mirrors Hikari's Tailmon line but water themed: Tailmon to a blonde human-like mon and then a dragon (or dinosaur in this case). Last edited by citramon; 02-09-2019 at 09:59 PM. Well cool. Congratulations to her. Hope it's goes well for her. And nice lines too. 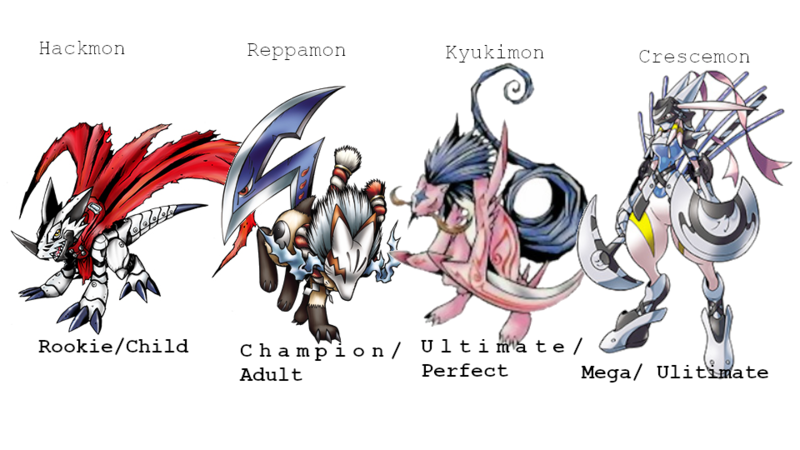 According to wikimon, Crescemon is treated as an ultimate in Digimon Collectors, so I through a together a blade themed line for Mega Crescemon. Last edited by D O R U g o r a m o n; 02-13-2019 at 04:22 AM. I made a picture, but I dont know how to upload it.